Following-up my post of earlier today, here is a May 1913 article from The National Coopers’ Journal on second-hand barrels. It confirms the essential points in the news stories of 1889 and 1899 cited earlier. This shows, too, that popular literature is often a reliable source. Reading this interesting, modern-sounding document, one reflects how the coopering trade was still vital on the eve of World War I. The arrival of Prohibition by 1920 must have dealt it a huge blow. Presumably, the trade recovered with the revival of distilling and brewing in 1933. Yet within 20 years, all brewing kegs changed over to metal in North America. (The pattern of technological change may recur with replacement of metal containers by plastic: think Brewlock from Heineken, or KeyKeg). 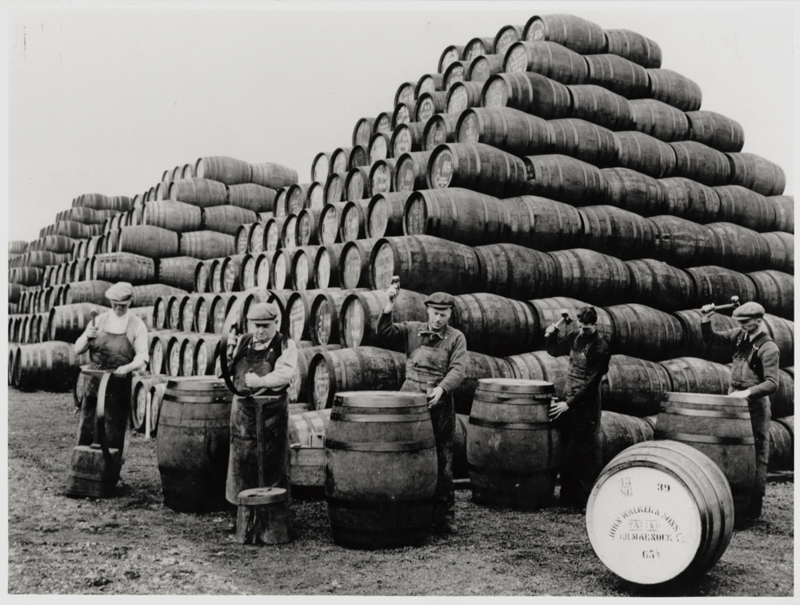 While distilling continues use of wood barrels, changes in other areas of packaging and further mechanization in coopering itself ultimately largely rendered the ancient coopers’ craft irrelevant. Note re first image above: the image of barrels and coopers was obtained from this Scottish museum site, here. 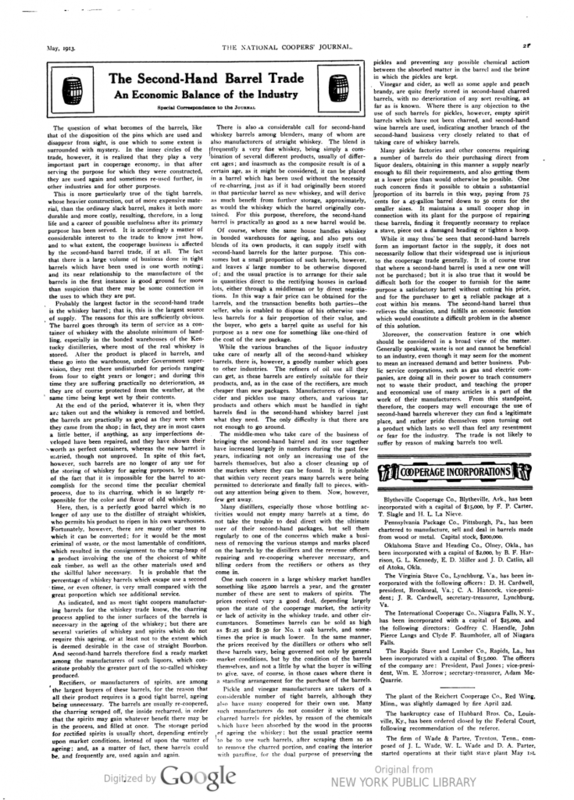 The second image is from the 1913 article linked in my first paragraph above. Both are believed available for educational and cultural purposes. All trade marks and images shown belong to their respective owners or authorized licensees. All feedback welcomed.